Today’s been great! I met up with a sweet friend for the first time this afternoon (and really enjoyed myself, despite those talking-to-new-people nerves I mentioned yesterday), and then for dinner, Josh & I made some DELICIOUS healthy pizzas & watched a little TV together.. And after I publish this post, we’re supposed to play a board game. Yay for date nights! • This article from Dance Magazine about Hamilton‘s choreographer, with two videos that teach a set of dance moves from the musical. I’m no dancer, but watching these videos make me wish I were, AND it just adds to the obsession love that I have for this musical. • Rusty Clanton’s song The River, The Spout. It’s a heartfelt love song about being loved by a kind & selfless person. I appreciate that the song praises qualities that are so important to healthy relationships.. and acknowledges that A) it’s not easy and B) being loved well by a kind & selfless person makes you want to be better. I’ve been listening to this over and over as I write this blog post, and ah! It’s just so gorgeous. • This Tumblr blog that pokes fun at the over-the-top and pretentious language of promotional emails: Why I Deleted Your Band’s Promo Email. The tagline is “This is the line that made me delete your band’s promo email.” Too funny. • A hilarious story about one woman’s experience getting a passport that made her look like Kim Jung Un (click here for a side-by-side comparison). Thanks to Elizabeth Hyndman for featuring that in her May 2016 Tweets of the Month Club (another link I hope you’ll follow, because her TotMC posts are always hilarious). • This article from a woman who overheard some teens being mean and confronted them in an unusual way. I appreciated the empathy that the author had for the girls – usually essays like this come across as shame-y and belittling of teen girls. Michelle saw the girls as actual people (who maybe didn’t realize how negative they were being), and gently pointed them in the right direction with kindness. Kudos. Happy weekend, friends! What’s the best thing YOU came across this week? I just read the entire post that one author wrote about overhearing pretty smart girls talking poorly about others. I am really glad that she tried to encourage them to think about their way of communicating and such. As someone who was highly mocked growing up, I truly appreciated this post of hers! Being kind is so much more important than worrying about how you look or having people like you in general. I hope, as she stated, that they did think about what she wrote in the card rather than bashing it. Maybe at this point in time they won’t care and will laugh it off, but down the line, they may remember it and have it become a part of a touching story of change. Your Hamilton love is adorable. The song you shared was very lovely. 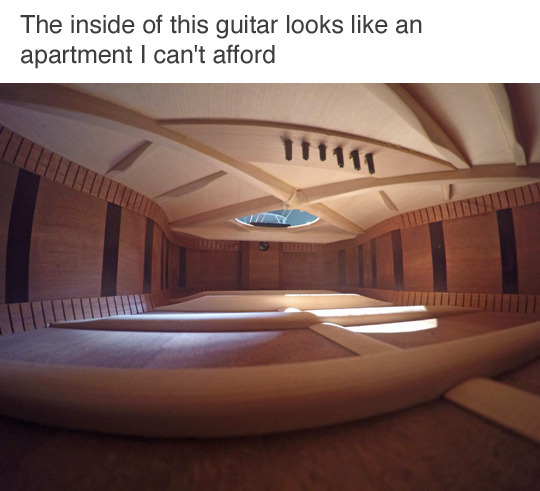 This week, I came across what the inside of a guitar looks like and how neat it is. http://67.media.tumblr.com/0563897300fcd3696671b6e68cf8ff3c/tumblr_o7w6b7CX001qewacoo1_540.jpg is the link!